Located in the heart of Sandton, with a classic, relaxed charm the Butcher Shop and Grill is the place to come for outstanding quality produce, great value and a lot of laughter. While the steak served here is superb there is a lot more on offer here than just a 'steak house'. 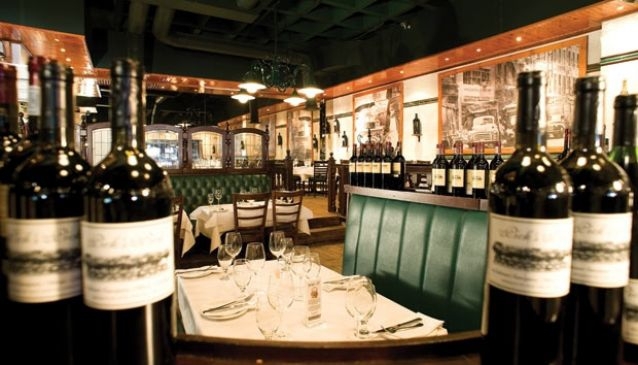 The fish, poultry and wine are all of an unmatched quality and the many regulars regard The Butcher Shop and Grill as a South African institution. Let's stop for a moment and consider the importance of the Pick's Pick range of wine that is available. Grown by some of the finest winemakers in the country, and bottled exclusively for The Butcher Shop and Grill, there is an excellent range of delicious wine that can be enjoyed with your meal or taken home and savoured. You can even transport your wine selection overseas by purchasing an exclusive bespoke wine bag, suitable for aircraft travel. For meat lovers, you are in safe hands. Only mature aged meat, with a lower fat content than both Europe and the USA, is available with an in-house butcher to cut however you would like and deal with any special requests. The menu has a vast choice of meats, fish, South African specialities, vegetarian options and some mouthwatering desserts. For those watching the waistline there is also Wagyu meat, a highly sought after premium beef that is naturally lower in saturated fat with high levels of omega-3. So for an authentic South African experience visit The Butcher Shop and Grill to receive the hallmark excellent quality food in a warm and sociable atmosphere. AWARDS: The Butcher Shop & Grill is the only steak restaurant to have received a coveted maximum of three stars in the Rossouw's Restaurants 2009 and 2010.